Rob Anderson, Principal Analyst for Central Government in the GlobalData Public Sector team recently attended techUK’s conference ‘Building A Smarter State’. In this blog, he looks forward with optimism at how a renewed partnership between the public and private sectors might reignite the transformation of public services. As the long hot summer of 2018 draws to a close, to be etched into the record books and fondly remembered like those of us of a certain age talk of 1976, our thoughts inevitably turn to the winter ahead. And as we inexorably shuffle nearer to the exit door of the EU, the darkness and gloom precipitated by the current political turmoil provides a daunting backdrop to dark evenings and cold mornings. Yet techUK’s recent conference ‘Building A Smarter State’ painted a somewhat different picture of the current climate in public services; an Indian Summer shedding light on a path forward to better days ahead fuelled by a new trust between supplier and client. It offered a glimmer of hope that working together can actually deliver a new dawn facilitating innovation and stimulating economic growth. 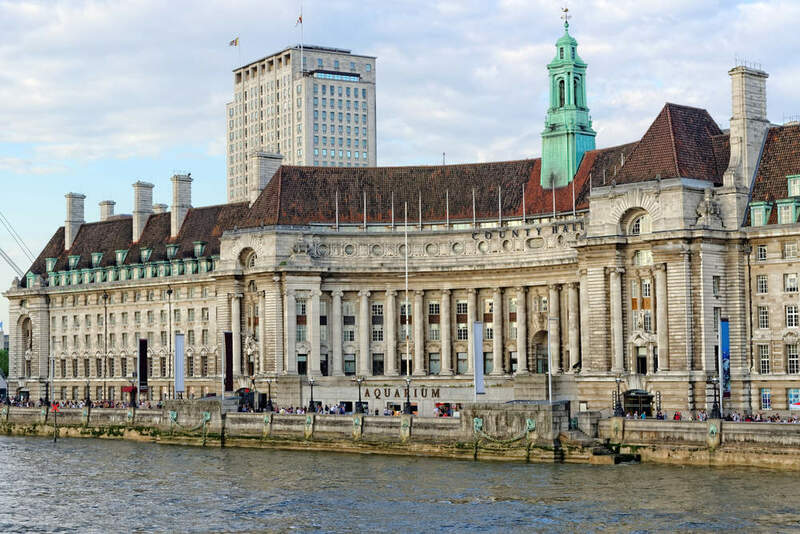 The event, techUK’s flagship forum, was held this year in London’s old County Hall was well attended with a good spread of both public and private sector employees eager to hear what industry and government could learn from each other. The agenda was packed with star names and kicked off by the technology trade association’s CEO Julian David, who introduced a slick video espousing how innovative technologies can facilitate better public services. John Manzoni was a no-show, but the public sector was ably represented on stage in the first panel discussion of the day, where Dave Perry, CTO of DVLA, and Helen Walker who has the same role at the Department for Education were quite candid in their observations on transformation. Perry described the motoring agency’s efforts to date as “putting lipstick on a pig” which was intended to describe the unholy mess that prevails in the back office rather than demean the slick front-end services which to many are the success story of government transformation 1.0. Walker meanwhile described her department’s transformation journey as not being tech driven, but all about users’ requirements. It may not have cheered the sales-focused suppliers in the room but it was a refreshing viewpoint from a CTO, re-emphasised with a four point plan to be implemented over 4-5 years and built around data exploitation and evidence-based decision-making. Other topics discussed during the day encompassed the usual suspects – skills gap, SME adoption and citizen empowerment. The B word was for the most part avoided, but with EU negotiations still at best muddled that was no real surprise. Perhaps more disappointing was the lack of any debate on identity assurance, with Verify seemingly black-balled from the room; that in itself was notable given the rumours emerging of its imminent demise. Sue Owen, PermSec at DCMS began post-lunch proceedings with a rather lacklustre performance – an opportunity missed to position her department at front and centre of transformation of government transformation surely? Worthy of note however were her comments on the recent consultation by the Centre for Data Ethics within her remit. If the government is to convince the British public that their data is safe in its hands to use for the improvement of public services, then the CDE is crucial in providing that reassurance. The main tent sessions were rounded off nicely by Fujitsu’s Karia presenting survey results that show how people’s perception of technology can differ quite markedly from reality. Again this means messaging will be critical for the government in introducing new robotic, AI, and machine learning technologies. The public and civil servants alike must be bought-in if these are to be implemented successfully with outcomes that deliver both better services and operating efficiencies. The post-event networking drinks provided a great platform for gauging the transformation climate and I’d say there is a general feeling of optimism that by collaborating more, the public sector can kick-on in its journey with industry help. That’s not to say there aren’t significant hurdles in the way though. Who knows what curved balls March 29th will bring, and the thorny question of the government’s commercial capabilities remain if my inside sources are right in their assessment of the current state of procurement units. …and then there’s the 2019 Spending Review to take into account. My advice is to start the conversation now and develop business cases that are robust and deliver real RoI; without the investment, we’ll all be stuck in neutral.